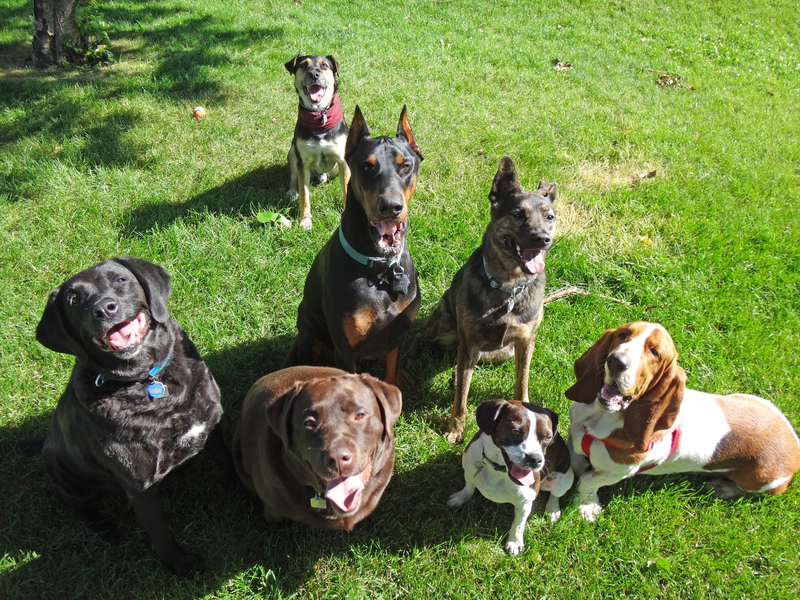 For dogs that enjoy being with other dogs and being part of a pack. Come big, come small, come one and all…The Pooch Walk is for you. 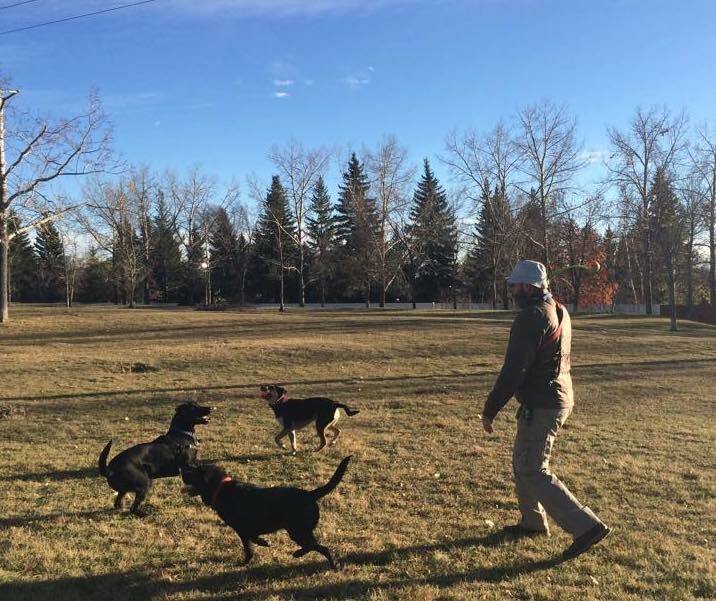 These walks are normally off-leash (your dog can be leashed if you prefer, subject to assessment) in one of a selection of NW off-leash dog parks. 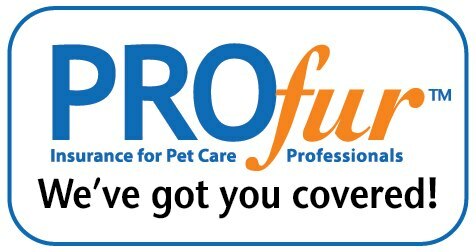 Dogs are greeted and daily requirements (via the Pooch Log) are checked and implemented. 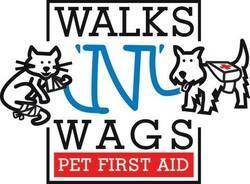 Walks comprise one hour walking time; the service also includes pick up, drop off, fresh water, wipe down (as required) and healthy treats (if allowed). An overview of the walk is prepared for the owner and any observations (experiential, bodily or otherwise) are shared. 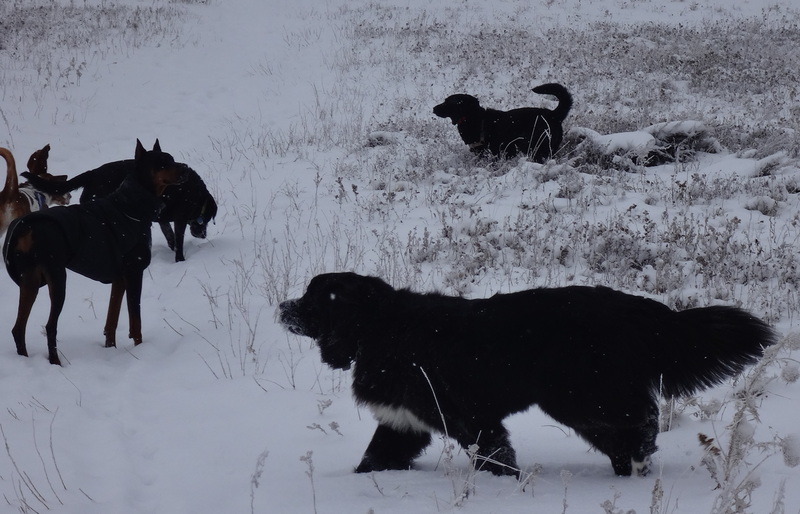 Groups are small and dog compatibility is assessed to ensure that all dogs on the group walks are happy and enjoying themselves. 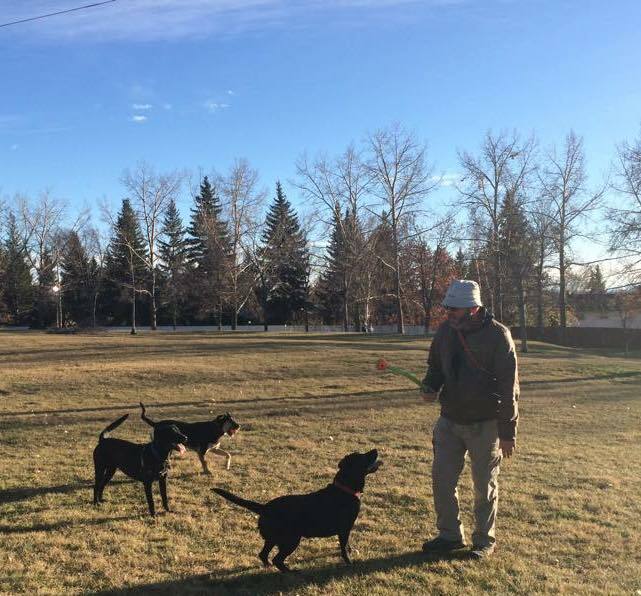 – Dogs must have a current City of Calgary dog licence. Group walks range from $20-25 (+GST) per session. Rates for 2 or more dogs from the same household are negotiable. All quoted price ranges take weekly walk frequency into account. 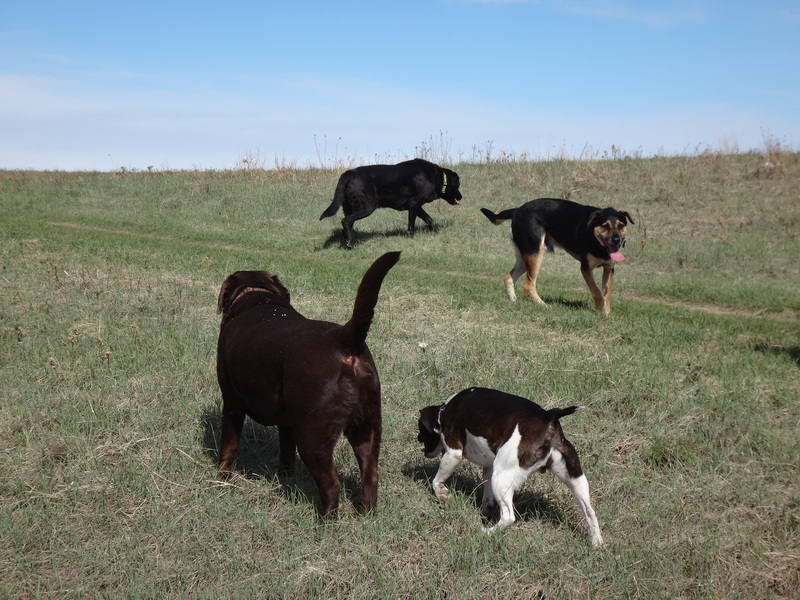 As such, rates at the lower end of the scale normally apply for dogs who are regulars on the Pooch Walk. Blocks of walks can be purchased, in advance, for regularly scheduled pooch walkers. Please ask for more details. When you complete the “Contact Me” form, please ensure that you include your post code so that route compatibility can be ascertained. Please contact me via phone, the “Contact Me” page or Pooch Walk Facebook (even if you do not see what you are looking for). We can then discuss your requirements further, arrange a free meet and greet consultation and ascertain your pooches suitability for the Pooch Walk.